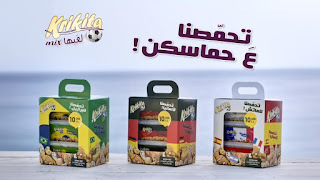 Krikita Nuts has a very nice about the Lebanese and the World Cup and how this sweeps the whole nation, so much that the country becomes deeply entrenched on the issue (all while the national team is not qualified mind you). And no it is not all in good fun at all :) - but hey Krikita did manage to find a brilliant copywriting out of that saying "t7amasna 3a 7ameskon" which phonetically means "we got excited because of your excitement" and "we got grilled because of your excitement" - considering they sell nuts you can understand how cute that is! Watch the full ad here!